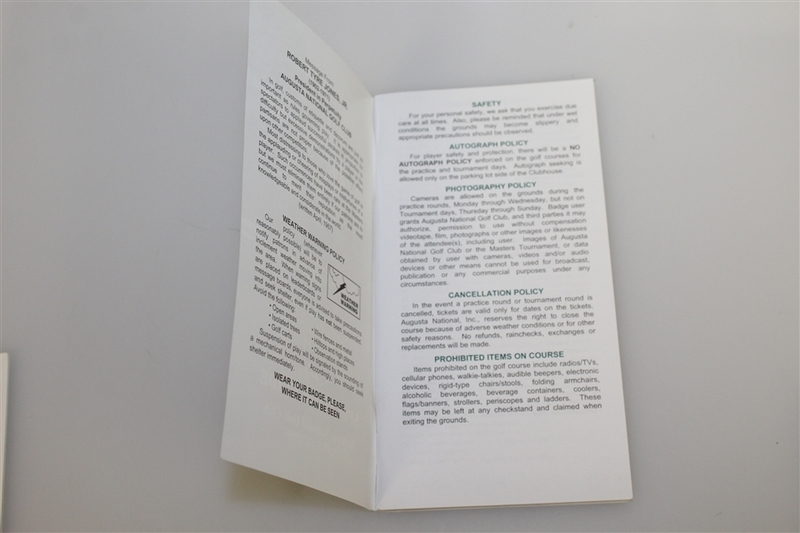 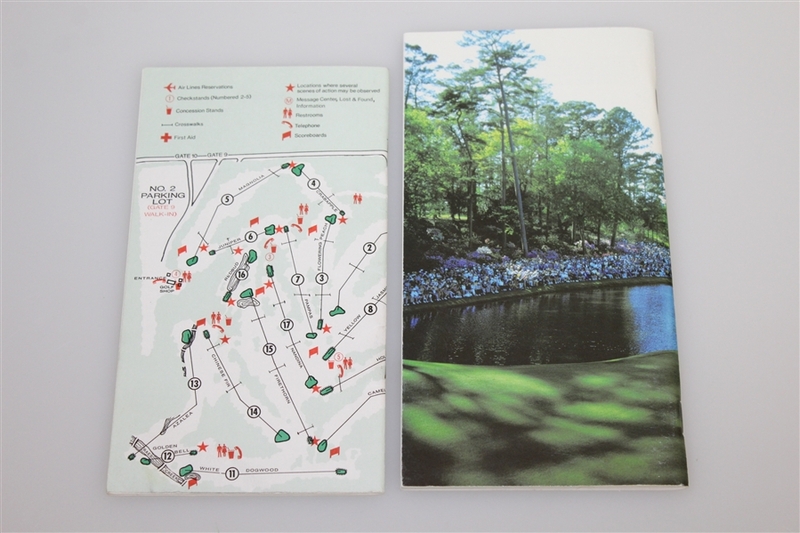 Here we have spectator guides from Jose Maria Olazabal's two Masters Tournament wins, in 1994 and 1999. 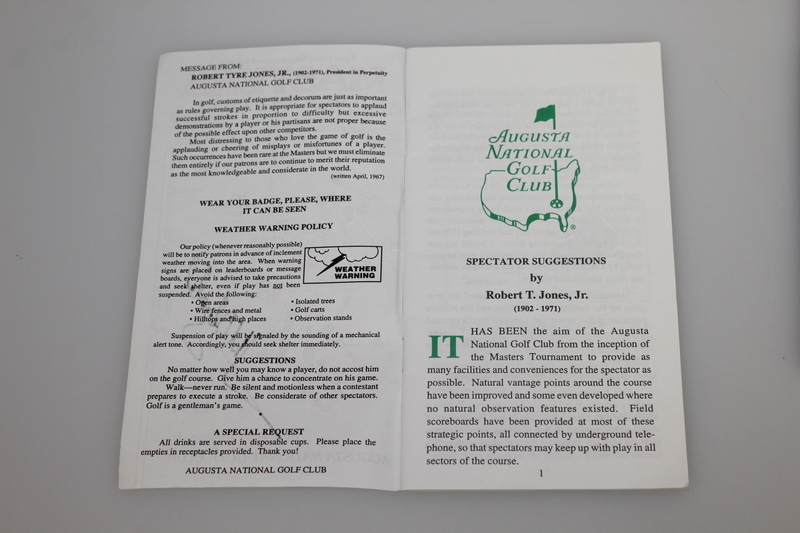 Both guides come in good condition, the 1994 guide showing very slight rust at the staples at the spine. Augusta National started the tradition of publishing a spectator guide for patrons to review and to help assist them in finding the best spots to watch the tournament. 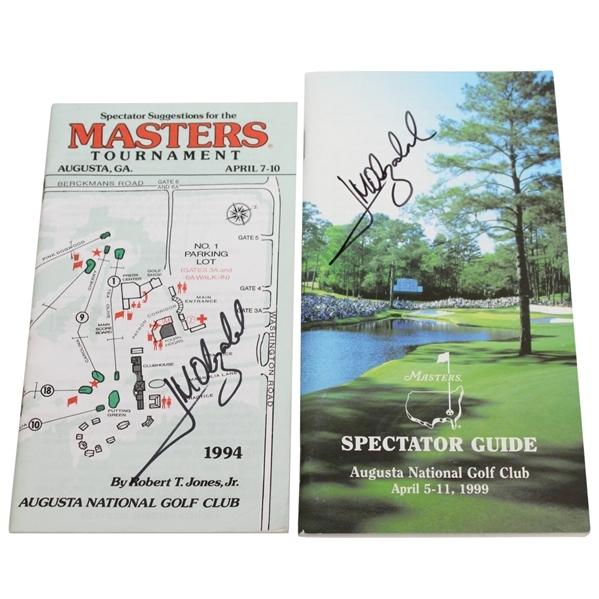 Olazabal defeated Tom Lehman at the 1994 Masters and Davis Love III in 1999.